The Arizona Bankruptcy Lawyers at LegalHelp-az are an Arizona based bankruptcy, criminal, and family law firm that excels at providing quality assistance for Tucson bankruptcy, Mesa Bankruptcy, Phoenix Bankruptcy, Tempe bankruptcy, and debt relief assistance for individuals across the entire State of Arizona. It is our focus to offer you complete dedication and experienced representation during this difficult time. Your best interests are important to us. We will be available to you in person, by phone and by email. Our team of Arizona bankruptcy lawyers understand the sensitive nature of filing for bankruptcy in Arizona and are committed to protecting your interests while maintaining the discretion you deserve. Contact our Phoenix bankruptcy lawyers today. Don’t you deserve a “Fresh Start”? When you are having trouble paying your bills, it is easy to feel overwhelmed. You probably have creditors calling and sending threatening letters demanding payment. A bad financial situation will take its toll on you and your family, it can reach a point where you are afraid to pick up the phone or collect the mail. All you really want is a way to get out from under your debt and move on with your life. You’ve thought about filing bankruptcy in Arizona, however, you’ve heard terrible things about what it can do to your credit, your employment, and your future. Get the real story! Contact a Phoenix bankruptcy lawyer and find out the facts about filing Chapter 7 bankruptcy vs. filing Chapter 13 bankruptcy. Our bankruptcy lawyers have the answers you need to navigate through your dire financial times. The truth is that filing for Chapter 7 bankruptcy or Chapter 13 bankruptcy in Arizona should not be viewed as a tragic ending but should be a new beginning. At the law offices of LegalHelp-az, our experienced bankruptcy lawyers have been helping clients get a fresh start without the burden of excessive debt holding them back. We offer comprehensive debt relief solutions designed to accommodate the unique circumstances of your situation. At the initial free bankruptcy consultation, our Arizona bankruptcy attorneys understand that your main purpose is to merely gather information. We want you to be able to come to one of our offices without feeling like you’re filing bankruptcy. There are no obligations or pressures at our FREE bankruptcy consultations. Our Phoenix bankruptcy attorneys are your access to the Arizona bankruptcy laws. Let our bankruptcy attorneys explain your financial options and then work with you to arrive at the best possible solution. Our experienced Arizona bankruptcy lawyers realize that every case is unique and every financial problem has its own special solution. Click here for a FREE Consultation and Debt Evaluation. Find out if bankruptcy might be the best solution for you and your family. We offer totally FREE, No Obligation, one-hour initial consultation at which we will learn about your particular situation, administer a FREE debt evaluation and decide with you as to what course of action may be the best for your situation. We offer Totally FREE, No Obligation Bankruptcy Consultation with one of our Experienced Phoenix and Tucson Bankruptcy Lawyers. Repairing your current financial situation and getting you a “Fresh Start” is our focus. Our Tucson, Mesa, and Phoenix Bankruptcy attorneys and staff will be available to you in person, by phone or through email. Filing bankruptcy in Glendale, Phoenix, Mesa, Tempe, Tucson, or throughout Arizona may provide debt relief when you need it most. Getting debt relief through filing for bankruptcy can be a complicated process. A Phoenix bankruptcy attorney can discuss this opportunity with you. Connect with a local bankruptcy attorney today. Fill out our free case evaluation form or call 480-263-1699 to speak with an experienced bankruptcy lawyer, debt relief specialist, or bankruptcy attorney in Arizona for a free consultation and free debt evaluation. We offer evening and weekend bankruptcy consultations, either in person or by telephone. Call and get a “Fresh Start” for you and your family today! DISCLAIMER: The information you obtain at this Arizona Bankruptcy Law web site is not, nor is it intended to be, legal advice. 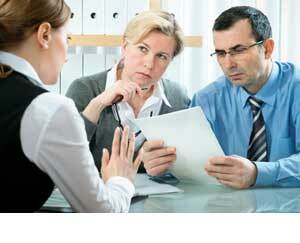 You should consult an Arizona bankruptcy attorney for advice regarding your individual situation. Our Arizona Bankruptcy lawyers and staff invite you to contact our Arizona Bankruptcy Law Firm and welcome your calls, letters, and electronic mail. Contacting us does not create an attorney-client relationship. Please do not send any confidential information to us until such time as an attorney-client relationship has been established. Thank you for visiting our Arizona bankruptcy web site. Serving bankruptcy clients in Phoenix and surrounding communities, including: Ahwatukee, Apache Junction, Avondale, Chandler, Flagstaff, Fountain Hills, Gilbert, Glendale, Marana, Maricopa, Mesa, Oro Valley, Paradise Valley, Peoria, Scottsdale, Sun City, Surprise, Tempe, Tucson and other communities in Maricopa County, Coconino County, Pima County and Pinal County, Arizona.